Rather than appearing to be experts at restaining and resealing your backyard deck, we thought the best way to get you backyard-ready for a spring and summer filled with entertaining friends and family is to lead you right to the experts. After all, we’re experts in the moving industry, not deck maintenance! Not only does Lowes provide the tools and materials to complete the job, but Lowes stores are staffed with helpful men and women who have the know-how needed to get a job done! DIYers have access to an online guide which takes you through each step from testing the wood, to applying deck cleaner, to finally applying stain. There is even a video demonstrating how to sand your deck if the wood is looking weathered. Power washing, sanding, deciding which stain is the correct stain. When it comes to cleaning and refinishing your deck, did you know how thoughtful of a job it was? The Spruce, a home blog, luckily details each step. Everything is spelled out, and if any particular step in the process is unclear, the article suggests further reading, for example, if a deck plank needs replacing. 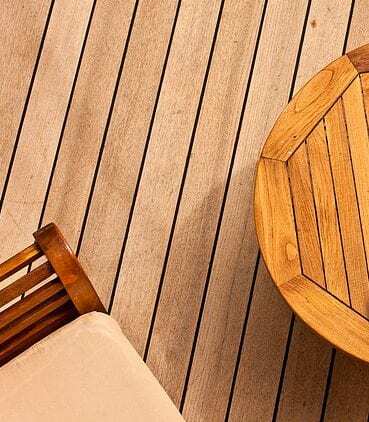 Wondering how long it will take to refinish your deck? How much will this job costs to do it yourself? Family Handyman estimates the job, although relatively simple, may take multiple days, and could cost within the vast range of $20 to $100. Family Handyman is not afraid to inform you of how big a job this can be, but they also reassure you it’s doable for anyone inclined enough to have a fresh-looking deck. Take a look at their article for all the tips and tricks of the trade. Take a moment to reflect … on how many hours per week you spend watching HGTV. Of course this popular television channel would also have a how-to guide for staining your deck. Along with a list of what you will need to complete the job, the home and garden experts provide a quick and easy procedure for restaining your deck. These guys make it seem like a breeze!